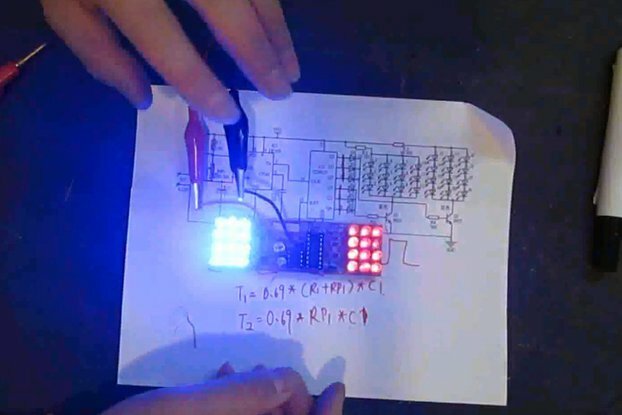 Possibly the world's greatest first project for the new electronic hobbyist. 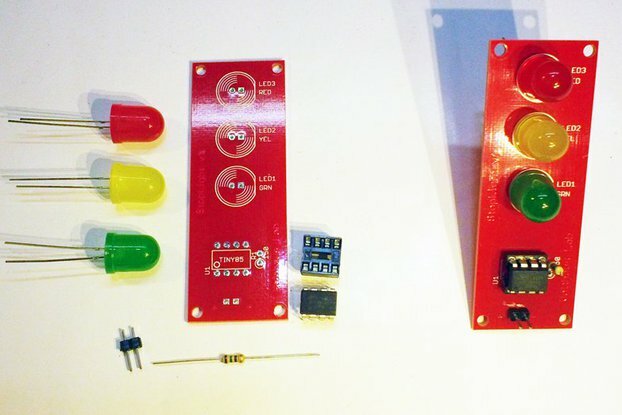 A complete DIY kit for a real working traffic light that makes a fun night light. Children love it. 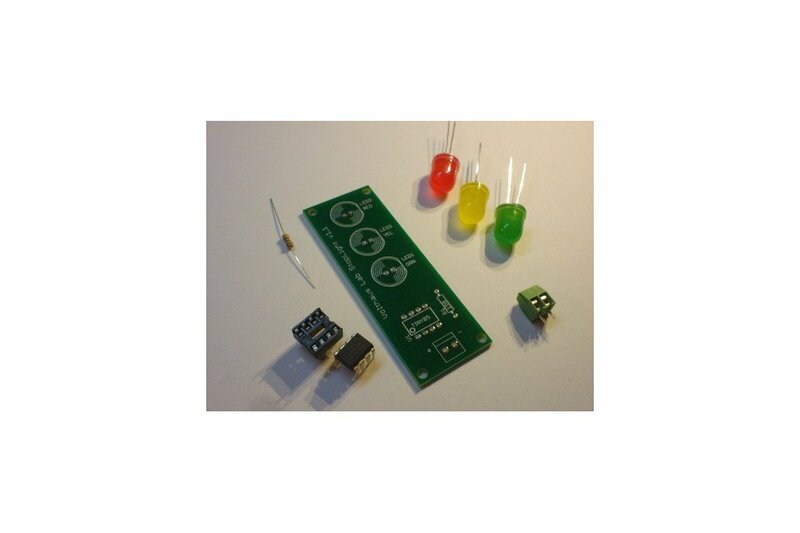 The heart of the kit is the high-performance, low-power Atmel 8-bit AVR RISC-based microcontroller. The firmware lights the Red and Green 10mm LEDs for 10 seconds and the Yellow 10mm LED for 5 seconds. 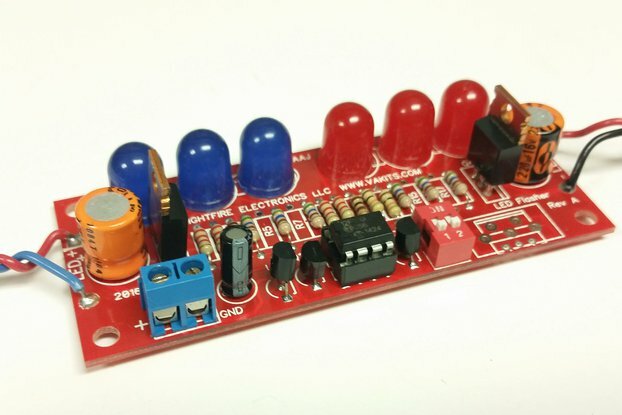 I wanted to offer a simple Do It Yourself kit that could introduce people to the wonderful world of hobby electronics. A kit that would be useful after it was built. And something fun as well as educational. Something a parent and their child could put together, or anyone who is just becoming interested in the hobby. My friend invited me to his son's birthday party, and on the table with the cake and the presents was a novelty lamp that was a working stop light. And I saw how much fun the children were having with it. When they were going to the table for a piece of cake the light would change from green to red and the children would stop and laugh until the light turned green. It was so much fun. The kit is so easy to build. 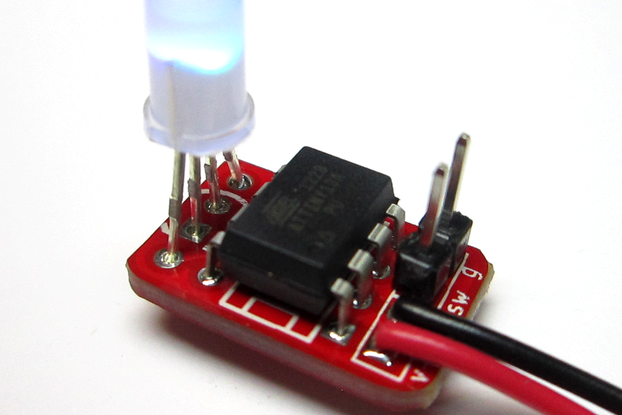 In addition to the Atmel microcontroller the kit only uses 3 large 10mm LEDs and one resistor. 1st class parcel shipping. Ship to U.S. locations only - Will usually ship within 1 to 2 business days of receiving cleared payment. Shipping charge on 1st item only. . I bought this as a project to do with my son. This was his first time learning to solder and the kit was really easy to assemble. I ended up soldering the IC socket pins, but he did the rest. Very simple project, perfect for his age. The only thing I would add is a switch for power and maybe some breakouts for expansion.